I was just reading your interesting on-line review of the Little Dot cd player and saw that you made a reference to the Cyrus PCM II cdp - could I ask you if you can still recommend this player as a second-hand purchase compared to modern models? I have a chance to buy a nice looking one and am really tempted by it! the Cyrus PCMII is certainly a fascinating digital machine but it is pretty old gear and this means you might be in trouble with spare parts, laser and transport in particular! The PCMII was actually based on a Philips CD670 and used a Philips CDM4/11 transport/laser combo which isn't easy to find nowadays. For more infos you might browse the official Cyrus PCMII webpage. Anyway, if it appears to be like new and the price is reasonable (less than 200$ I'd say) you could decide to give it a chance. Remember it can be upgraded with a Cyrus PSX external power supply (a rare bird, nowadays). It all depends on your budget and, why not?, on the rest of your system. I just read your article about the ESS Heil AMT1. In the reference bottom line of that article you also mention the B&C DE-400TN compression driver. How would you characterize these two tweeters in comparison? Does the dipole character of the AMT make a significant difference? I recently use a pair of vintage Saba Greencones – quite efficient wideband-drivers, very detailed and very good voice reproduction – supported by JBL LE26 cone tweeters, the latter being a favourite of Troels Gravesen since a long time. But possibly the large AMT as well as the B&C might be an upgrade option for the highrange. Here in Germany another compression driver, the BMS4524 is said to be a top tweeter e.g. in conjunction with the Faital STH100 horn. Which horn do you use with the B&C? I wonder if the AMT or a compression driver plus horn would be the better companion for my Sabas. I have to say my speakers stand close in front of a wall, which won't be any problem with the horned drivers but the AMTs would probably need a reflection triangle behind it to guide its backside radiation to the sides – which obviously works fine for a number of people. I'd be glad if you could share your experience to help me taking a decision, which step to try next. Good to hear from you. You are certainly looking at some diverse classic drivers. Are you listening to them all? The only way to describe what would suit you is to listen. Berlin should be a city with sufficient critical mass of audiophiles to join with for listening sessions. If you plan to keep your Saba Greencones, and their Alnico magnets are still good for 94dB from 2.83v and your amplifier can handle their 5ohm nominal impedence, then you need tweeters at least as sensitive. If you use tweeters with higher Z (e.g. 8ohm tweeters with rising Z with frequency, as is usually the case) and you have valve amplifiers with a highish output impedence, the amplifier frequency response will rise in proportion to the rising resistance. The Saba Greencones reputedly (I haven't tested them) have nothing below 60Hz, and very little below 80Hz. An extended top end will sound very unbalanced, so the AMTs would not suit unless you use active crossovers with something like a 2A3 SET for the treble and a subwoofer below 80Hz. That way you get to keep the Saba Greencone midrange and get more bandwidth. Alternatively, if you really do not like the JBL LE26 anymore, they stop around 15kHz after their primary breakup mode but I remember them in JBL full range systems and didn't notice any resonances like you got with contemporary 70s soft domes. The B&C DE400TN-8 are a more cost effective solution than the equivalent vintage JBL compression drivers. The B&Cextra sensitivity can be equalised at the same time as their higher impedance than the Saba Greencones by padding with a parallel resistor (start experimenting with about 12ohms). Their 90degree dispersion with the horns will better integrate with the Saba Greencones as the Sabas will start to beam above about 2kHz. The LE26 JBL was often used with a first order (12dB per octave) crossover, which is the most phase integrated standard alignment and may be partly responsible for their popularity. System design, with special consideration given to dispersion and phase coherence at crossover points, is far more important than the unique qualities of one driver vs another. 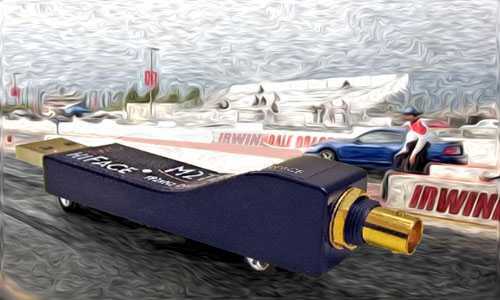 Read these on choosing drivers, subtleties of decoding driver descriptions, and integrating driver acceleration and loudspeaker room integration. Finally, I'd agree wholeheartedly with Troels Gravesen that only baltic birch plywood should be used for loudspeaker cabinet walls, having conducted listening tests myself. My name is Andrea and recently moved to the USA (Houston). I'm recently getting more and more interested in the Hi-fi world and I would like to purchase my first "proper" hi fi system. An italian friend of mine suggested me to look into TNT-Audio website for some tips, and told me that in USA I would be able to find some of the best components available. I've thought about a budget of approx 2000-3000$ to start with an amplifier/DAC and a couple of speakers, to play my digital collection, and maybe then add a CD/SACD player. Could you please suggest some brand/model I should check? Preferably USA brands, but feel free to suggest european equipment. Many thanks and i hope you'll find some time for this email. do you sit down to listen to music, or is music just in the background as you are busy with other tasks. can you draw a diagram of the room layout with furnishings and openings, that you intend to setup this system in Please include measurements too, and where in the room the gear will go..
are you also looking to play vinyl? Are you also looking for a radio tuner? The few things you plan to buy, the higher quality gear you can get for the same budget. are you living in an apartment or place where there are restrictions on how loud you can play music? What format of digital music do you listen to? CD, SACD, mp3, hi rez downloads? a pair of speakers OR headphones. a disc player, preferably network enabled and universal blu-ray. I just read your excellent article on the HiFace Two. I was wondering, did you attempt to connect the HiFace Two to an iPad mini via the Apple Camera Connector Kit? I cannot get this to work for the life of me, either directly or with or without a USB hub (powered and unpowered). I thought the Elijah Audio BPM USB cable (plus power) might help. Any thoughts. Thanks in advance for an insight that you have. Thanks for your kind comments on the review. I'm afraid that I have absolutely no experience with an iPAD of any description, so can't really advise you on connecting your 'mini' to the Hi-Face Two. I did find a discussion about the issue at www.head-fi.org that I hope may be of some use to you. Sorry that I can't be of more help. I own a non-suspended Marantz TT15S1 deck on a MDF table. I've been struggling to find an ideal isolation platform for it. Reading Part II of your Vibration Control series, under the heading "Conclusions" I understood that a base made of laminated glass suported by three ceramic Polycrystal cones would bring good results. If so, what would be the ideal height of the platform? Would you please give me any other technical and practical advice on this? my conclusions in that test were that we cannot make universal rules for all turntables because each turntable reacts differently to its support. Suspended subchassis turntables like the Michell Orbe and Thorens TD150/160 seem to benefit from 3 points of vibration isolating support that is not too compliant. Compliant feet under the shelf seem to react with the sprung subchassis to affect Pace, Rhythm and Timing (PRaT). Being a solid plinth design, the Marantz TT15Si benefits from as much isolation as possible from vibration. This can be airborne vibration (the music in the room) or structure borne vibration. Context is all important. Primarily the support is the first step in preparing the correct location for the turntable. The worst possible support is a closed wooden furniture cabinet on a 'suspended wooden floor' (floorboards on joists) with no provision for levelling. Decisions depend on context. If you have a bouncy suspended wooden floor and masonry walls, a wall shelf is better than a table. If you have a solid masonry floor and modern drywall or plasterboard walls, a three point table support is better than a shelf. The character of the laminated glass shelf is more analytical than birch ply, but ANYTHING is better than MDF, even chipboard. To find out what suits your turntable best, try our TNT DIY equipment feet to establish whether stiff or blobby options are better. Putty erasers are a good option for the commercial blobby products. The DIY options will closely approach the commercial equivalents, and when your experiments determine whether the preferred support genus, you can splash out on buying the best product of that type. An acrylic turntable may work well on an acrylic shelf. The Polychrystal feet have become difficult to obtain, but the Avondale feet and the Something Solid feet (both featuring carbon fibre) perform similarly. Finally, make sure that the turntable is properly set up. Ensure that the floating motor floats correctly. Ensure the turntable is perfectly level. Check the pulley and platter are scrupulously clean and that the belt is in good condition. Ignore the rather basic cartridge alignment instuctions supplied by Marantz and set up the cartridge with a good alignment protractor and scales. I just bought a new flat screen TV and the sound is lousy, so I want to run the audio output from the cable box into my stereo amplifier (an old Denon PMA-300V). The problem is that my amplifier does not have a remote (and is not remote enabled). So I was thinking that if I could run the audio from the cable box into a unit such as the PGA2311 (which has a remote) and run that output into the Denon it might solve my problem. But I also just realized that the Denon is a pre-main, meaning (I think) that it also acts as a preamp. So I'd be running the output of a preamp (the PGA2311) into another preamp (the Denon). Does what I'm suggesting make any sense? Thanks for taking the time to answer...it is much appreciated. Thanks for the question. Yes - the sound of TV's is usually terrible (see also our recent article titled Size matters! about modern TVs audio quality) and it's amazing what a difference it makes putting the audio through even a modest amp and speaker set up. What you're suggesting should work fine. If you get a small remote controlled preamp, try connecting it first into the return side of the tape loop on the Denon. That will effectively bypass the preamp stage of the Denon. Check that the volume on the preamp is set low to start with since if you do this as the Denon volume will have no effect and you could just get full volume! You could also try going into the Aux inputs, which do go via the preamp in the Denon and see which sound you prefer. Good luck with it.